On the beginning of the Millenium the gentrification of the 7th district has started, a lot of houses got new owners, who did not have enough money to renovate the buildings. The new owners started looking for a temporary solution, a scenario where they don’t really have to spend a huge amount of money to maintain or renovate the building, but they can secure the preserving of its consistency. Then came the demand for the supply: an artist crew started looking for cheap, temporary place in the downtown. At first, the group of artists just wanted to open a café with the cheapest design possible. They collected most of the furniture from flea markets or rubbish clearance events on the streets. With a great impact of independent hungarian interior artists, objects from different eras started to create a unified design. According to plan, Szimpla café opened in 2001 and since then it’s an inspiration for all the ruin pubs of the world. Szimpla started to get the crowd’s attention, so they had to expand the place in 2004, that’s when they attached the garden. They created the terrace, a screening area and the bars while taking care of the building’s original features. This way it became both a pub and a community space as it was originally imagined to be. Nowadays Szimpla is a huge business. 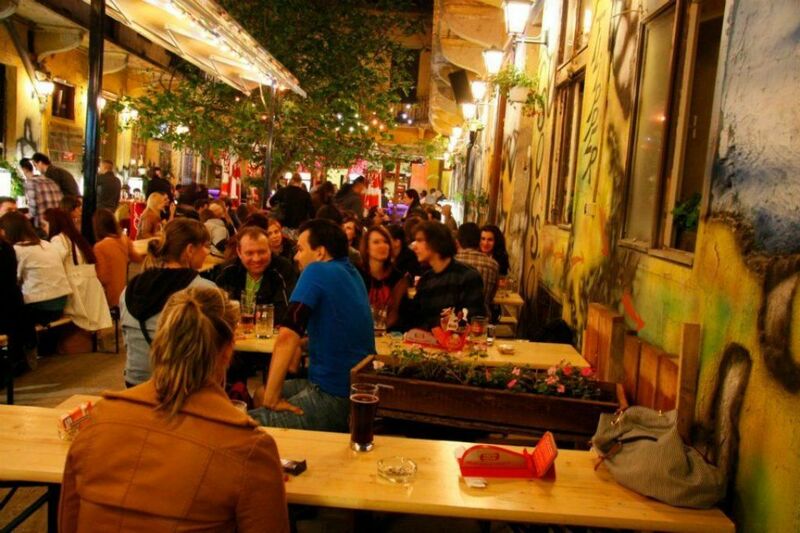 It created a style copied worldwide, as all the ruin pubs opened since Szimpla Kert basically has similar design. But it has a considerable impact on the cityscape too: first, more than a hundred years old buildings were saved from demolition, and on the other hand the party district came to life, which is one of the biggest tourist attractions of Budapest. Probably there are not too many places which changed a whole city, but Szimpla is certainly one of them.